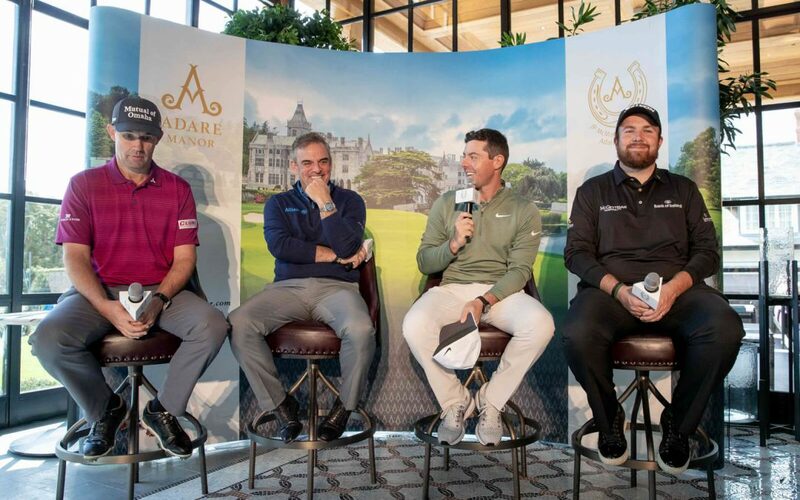 Friday 20th April 2018: The JP McManus Pro-Am 2020 was officially launched, today, at a press conference at Adare Manor attended by Irish golfing stars Rory McIlroy, Pádraig Harrington, Shane Lowry and Paul McGinley who also confirmed their participation in the upcoming fund-raising tournament. 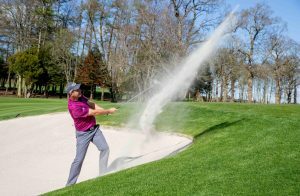 The much-loved Pro-Am will take place on 6th &7th July 2020 at the Tom Fazio-redesigned championship golf course at Adare Manor. 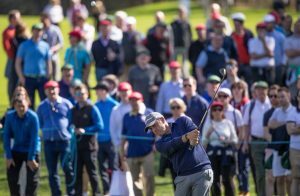 Once again, charities in the Mid-West are set to benefit from the event, with over €100 million raised since its inception in 1990. 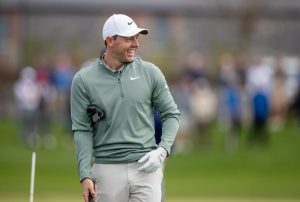 To launch the tournament today, Rory and Paul will take on Padraig and Shane in a fourball competition, with a €500,000 charity purse to be donated to their respective charities of choice. Over 80,000 spectators attended the last hosting of the Pro-Am event in 2010, which saw many of the world’s leading golfers make the trip to Adare Manor, including Tiger Woods, Dustin Johnson, Jim Furyk, Justin Rose, Henrik Stenson, Ian Poulter, Adam Scott, Ernie Els, and a host of celebrities from the worlds of sport and entertainment comprising Samuel L Jackson, Michael Flatley, Hugh Grant, Martin O’Neill, AP McCoy and many more. 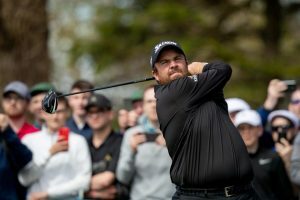 The full list of participants joining McIlroy, Harrington, Lowry and McGinley in 2020 will be rolled out over the next two years. 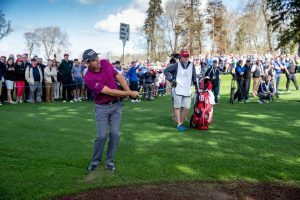 The tournament returns to The Golf Course at Adare Manor which has been completely redesigned and is set to become one of the most recognised layouts in world golf. The competition format remains unchanged comprising one professional and three amateurs who will compete over the two days of the event. 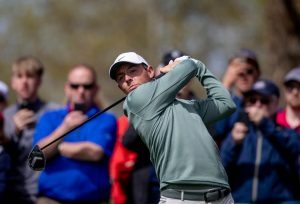 Four-time Major winner Rory McIlroy, who also played in the Pro-Am in 2010, revealed: “In international golf, it is recognised as one of the best organised and most enjoyable charity pro-ams on Tour. The combination of true community spirt, great supporters and players, a world-class golf course, all make it a fantastic and fun-filled tournament. 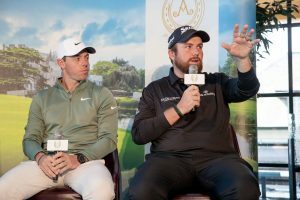 I was delighted when JP asked me to play in 2020 and I’ve no doubt it will be even more spectacular this time round, particularly playing on the newly redesigned championship golf course at Adare Manor”.